Is Racial Bias Training the solution for Starbucks? In fact, who is really at fault for the store manager calling the police on the gentlemen? Is it Starbucks ‘store policy’ to call the police on people sitting in their locations who have not purchased anything, or isn’t that their business model? Commentary below from The Young Turks, as well as others who have all weighed in on this matter of “Waiting while Black!”. 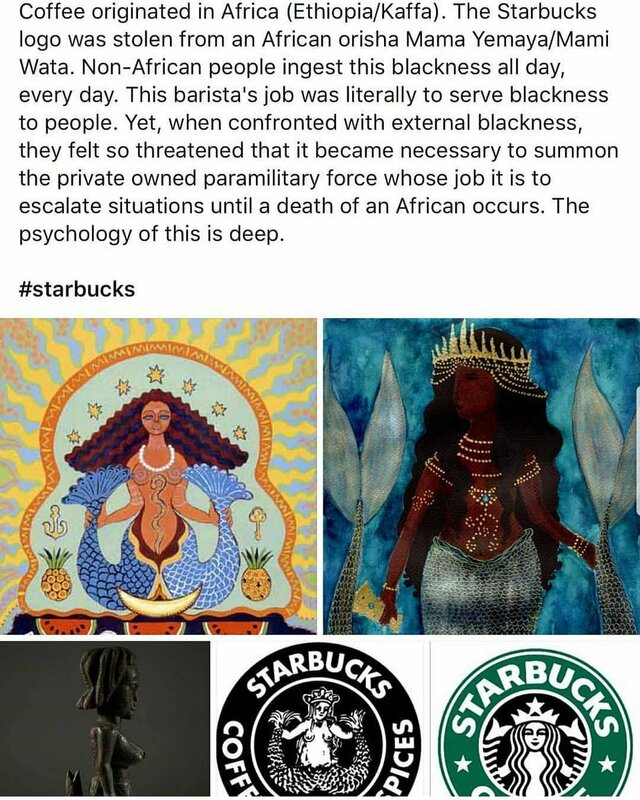 After this incident went viral, Starbucks announced it would close over 8,000 stores May 29th, 2018 for Racial Bias Training. A similar incident happened just days later in Torrance, California (on Hawthorne Blvd.). In this video, the store manager is a Latina, who gets irate when she realizes what is going on. We have written before about the racial tension that does exist in the Los Angeles Area. Torrance is actually one of the cities that is mostly White or Asian in it’s racial make up. It’s much different from other areas of Los Angeles where Blacks and Hispanics share neighborhoods, and due to the economic realities have had to compete over resources. When we wrote about Hispanics taking jobs from Black people, we discussed the racial tensions that have existed here for quite some time. The Hispanic store manager at Starbucks may not benefit from Racial Bias Training at all. She was, most likely, raised to treat black people differently. I’ve had numerous experience with poor customer service when dealing with Hispanics. Not only do many of them mess up my order, several serve me a side of attitude if I dare complain. Incidents like these happen to black people all, the, time. Social media, cell phones, and streaming live video, all have helped to ‘contribute’ to people finally seeing what blacks go through. And yet, still, due to the Racial Bias Training too many non-blacks get at home, it’s still not enough. Black people deal with racism from all sides. When black people hear other groups talk about discrimination it literally upsets many. Because no group of people in this nation is as discriminated against as are black people. In all of these videos and stories that have come out in the past few years, rarely do they involve Gays, Lesbians, Women, Asians or Hispanics being unfairly targeted, harassed, or murdered. You’re welcome to leave comments if you can disprove that statement. Black people have been talking about this problem for decades now. The Civil Rights Movement got a few laws changed, but the hearts and minds of people did not. The mechanisms of racism have been left in place, and over time the problem has not dissipated. Ignoring it is not allowing any of us to move past it, or ‘get over it’. Even as Black athletes take a knee to call attention to how differently blacks are treated in this nation, the pain caused is ignored. In fact, that’s all that Is being ignored – How black people feel. 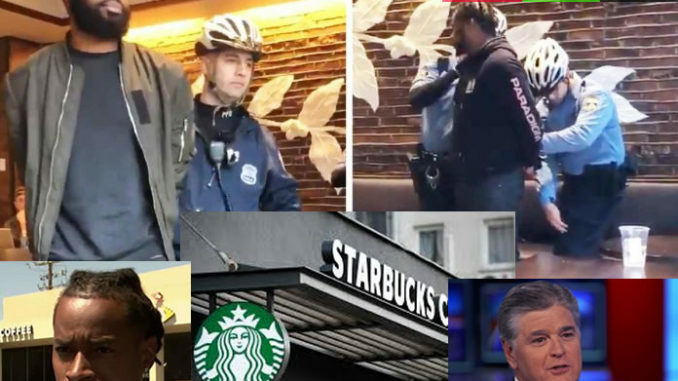 So that is why when the CEO of Starbucks, Howard Schultz sat down and said the white store manager in Philadelphia did not know police would arrest the two black men, it garnered several upset reactions. Because, everyone should know the negative repercussions of calling the Police on someone…. especially when they are black. Overall though, I’d say Starbucks is responding ‘as best they can’ to a really bad situation. I don’t see this as a corporate issue, but an issue with the employees themselves. Closing down 8,000 stores for a day is going to hurt Starbucks financially. They’re taking a real hit, over the actions of One employee. The incident in Torrance underscores the need for the corporation to nip this problem in the bud. It’s a shame it even comes down to this, but the racial bias training people get at home, is the root cause. I was thinking to myself, just what would make white people So uncomfortable and afraid of black people, sitting and minding their own business? What would make a white woman, or even a Hispanic woman assume that these black men have mal intent? How come they both felt it was acceptable to deny bathroom access to these black men – and not the white man? Yes, the Torrance and Philadelphia incidents are separate. However, I’m pretty sure the white store manager (Holly Hylton) never called police on WHITE non-customers before. So again, what exactly is the problem here America? Why Can’t the many millions of white people in this land see the problem with their ways? In fact, why do so many white people feel that what you are doing is actually the right thing – because really this is the heart of the issue. The answer I came up with is, Fox News. 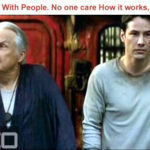 While gathering my own thoughts on this, I saw the following tweet that took ‘me’ back to a moment I also agreed with. The moment when Ted Koppel looked Sean Hannity in the eye and told him he’s bad for America. 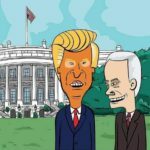 For far too long, America has allowed this ‘trusted news source’ to spew hate into the homes of Americans. Mostly white people in America relate to this kind of hate mongering though. However this type of propaganda influences the thinking of non-whites too. The reason being is, this is the kind of ignorance they are already exposed to in their home environments. Remember, racism has always been an issue in our nation. But when trusted news sources reaffirm racist ideas and opinions, the matters get worse not better. Some examples: Too many whites already believe that Blacks are Prone to Criminality. When Mike Brown was murdered by Darren Wilson, Fox News made sure to focus on the Liquor Store. They did not choose to focus on the fact that in spite of what happened in the liquor store, Mike Brown had rights. Their evil mouth pieces like Sean Hannity, Bill O’Reilly, and Tucker Carlson all made it sound like Mike Brown deserved to die. They’ve done the same with literally every single case of Police Brutality. All of them took George Zimmerman’s ‘side’ of the story as well. So can any racial bias training that starbucks does for their employees combat what Americans get at home? When your trusted news sources tell you blacks are criminals and thugs, can anything your job tells you beat that programming? Now for that promised commentary from The Young Turks who really hit this on the nail. This entire problem with White Privilege, that white people deny having stems from the fact that they do NOT experience it. Meaning, white people never have to worry about being arrested for sitting in Starbucks. They never ‘feel’ that privilege that is extended to them, even if they didn’t ask for it. Anyways … File all of this away in the evidence bin…. nothing a black person can do, can stop this problem. So we’re all waiting for white to do more.